Seattle magazine: Are you excited to be in Seattle? Isaac Mizrahi: It’s been a minute since I visited but I remember liking it alot. It lived up to its reputation weather wise because it rained the entire time. But I also remember feeling safe there in terms of my political self, it felt like being amongst friends in Seattle. SM: Tell us about your book, I.M. : A Memoir. What inspired you to write it? IM: I have written graphic novels and screenplays before but the minute I got started writing I.M., the process became a real exploration of myself and put things from my past in perspective. I also thought it would be a good exercise and I would become a writer. There were about five years of writing involved and a couple years before that my agent and I were putting ideas together. SM: What advice do you give to people to encourage them to give their best life? IM: The lesson that everyone should learn is to stop looking around and comparing yourself to others. Just stick with your agenda. It’s so destructive to do otherwise. The other lesson is that of persistence; to keep up at something and your goals are bound to come to fruition in a very rewarding way. SM: I understand that one of your great loves in life is performance; how did you go about designing a cabaret show to accompany the release of your book? IM: The culture that I’m from is a performing culture, I went to Fiorello H. LaGuardia High School that specializes in the performing arts. I don’t know if it’s possible to sound more cliche but as a performer I really feed off an audience. 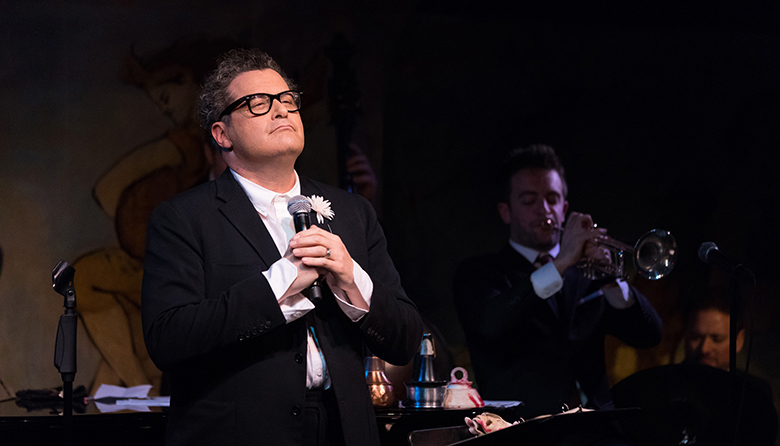 I keep putting together these 90 minutes shows and have hosted shows at the Cafe Carlyle in New York City for the past three years, even when I have been up to my ears in clothes I still made time to perform. But my first two shows were less autobiographical and more of the moment. IM: I have to say that I am not the best traveler, I don’t like planes. But I don’t get nervous anymore about being on tour and I go into each show determined to have the best time, otherwise the audience suffers. [Reading the audience’s energy] It really is the best thing in the world. SM: Do you have any pre- or post-show rituals? IM: The most important thing is to review my notes but I do warm up my voice to start. After I put on a little make up I attach this little ankle bracelet I have that is my good luck charm. Once I start this process, whatever stagefright I have melts away. SM: What’s in your luggage while you’re on the road? IM: My phone battery keeps draining so I have many chargers. There is this big cashmere scarf that I can’t go anywhere without. I also have this tray that you can snap together from Smythson that I use to organize my things at the hotel, which I’m loving. SM: Let’s talk fashion, what is exciting you about the current state of the fashion industry? IM: There was an incredible Valentino couture collection a couple of years ago that I was very excited about. It wasn’t fussy and had big grand shapes. It felt like going towards certain principles that I prefer. SM: What do you say are the everyday essentials a woman should own? IM: I think everyone needs a dressy flat. If you wear high heels all the time they lose their edge. SM: What is your favorite article of clothing that you own? IM: I just got this beautiful suit made by David August. I cannot believe how much I love it because I’m hard to please when it comes to tailoring. SM: I cannot wait to see what’s next for you; where do you imagine yourself, personally or professionally, in 5 years? IM: I see myself doing these shows more and I hope they lead to something more permanent. I’m kind of the opposite of the Olsen twins, you know?